Put pears in a large skillet with about 3/4 cup water. Cover with lid and boil for 15-20 minutes, checking to make sure there is always some water at the bottom. Put in a food processor and puree until smooth. 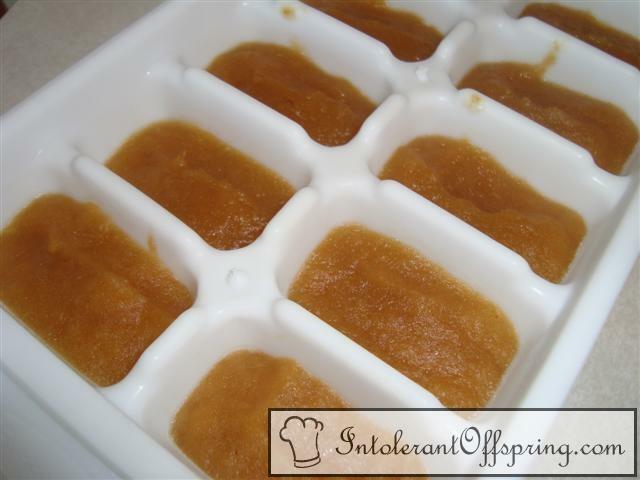 Makes about 1 ice cube tray per pound.